Acupuncture therapy can help you overcome dependence on alcohol, tobacco, sugar, caffeine and other addictive substances. It is a proven treatment used in hospitals and clinics around the world. It also helps with the physical, emotional and psychological aspects of addiction. Auriculotherapy is one commonly used method in acupuncture addiction treatment. This involves stimulating around 5-10 specific points on the skin of the ear with very small needles. The needles are left in place for 30-45 minutes and patients typically report reduced cravings and a greater sense of calm. In some cases, a series of regular auriculotherapy treatments may be all the help one needs to overcome an addiction such as tobacco or sugar. But for others it is essential they receive counseling, education, and medical care too. Nutrition is also a key element in recovery as substance abusers are often malnourished. Our acupuncturist Matthew Scott offers auriculotherapy, regular body acupuncture and nutritional advice for overcoming addictions to alcohol, tobacco, sugar and other foods. He also offers gentle, non-needle treatment using laser and micro-current. A key part of Matthew’s protocol is the use of diagnostic acupuncture equipment called Acugraph. At each visit, Matthew will do an Acugraph test to locate underlying imbalances contributing to your addiction. The test takes just 2 minutes and simply requires touching a moistened probe to acupuncture points on your hands and feet to measure their electrical resistance. 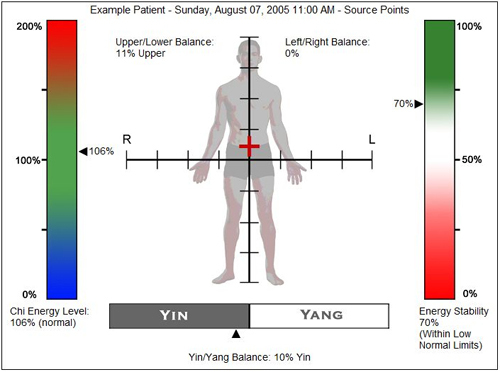 Finding and correcting these imbalances is crucial for successful overall treatment. Matthew currently offers a free 15 minute consultation for you to find out how acupuncture can help you, including an Acugraph test. Please call Dr Susan Jamieson Integrative Medical Practice to book an appointment.